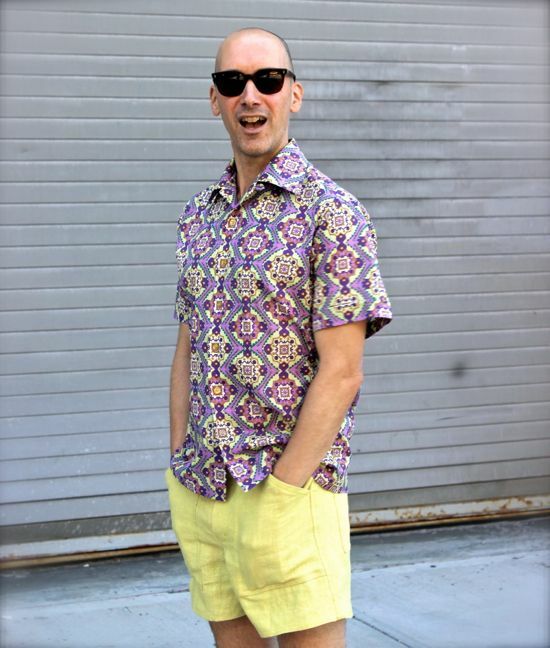 Peter of Male Pattern Boldness modelling a purple patterned short sleeve shirt. I’ve got a plan. I’m going to make Nick some shirts. I solemnly swear to work through this plan until I figure out a great fitting pattern and sew up some fabulous shirts! 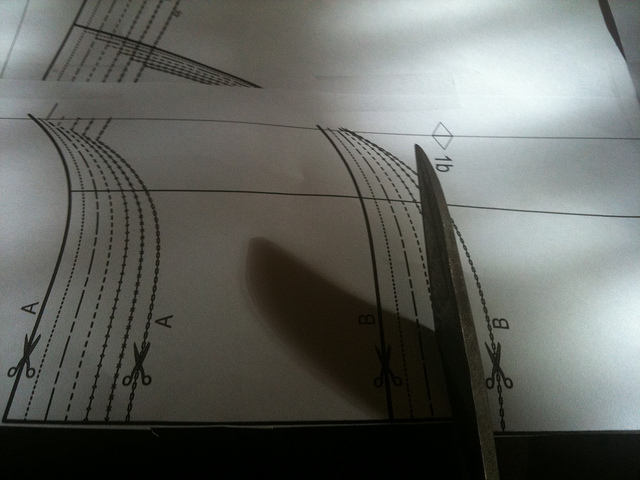 My major inspiration has been Peter Lappin of Male Pattern Boldness, a sewist of serious skill who combines fabrics like it’s no big deal, and writes with great humour of his sewing processes and observations. I recently went on a journey through his men’s shirts tag and came across a gingham/ floral shirt that set my brain on fire! I had to replicate this on Nick! The only problems being that I’ve never made a damned men’s shirt in my life, and patterns for short fat men are practically non-existent. 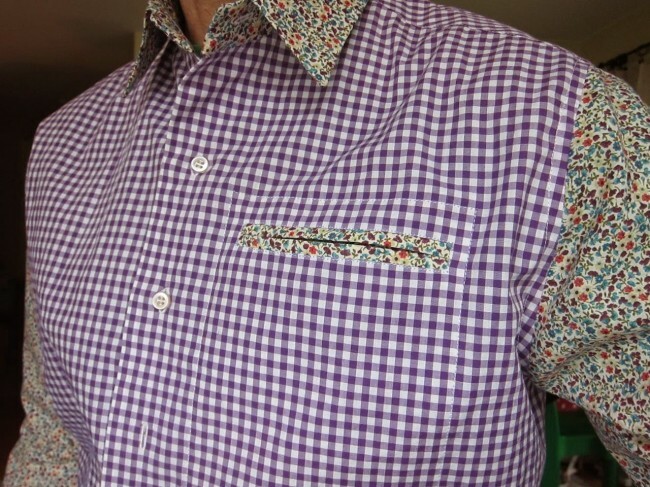 Peter’s purple gingham shirt features a small floral print at the collar and sleeve, as well as a double welt breast pocket. 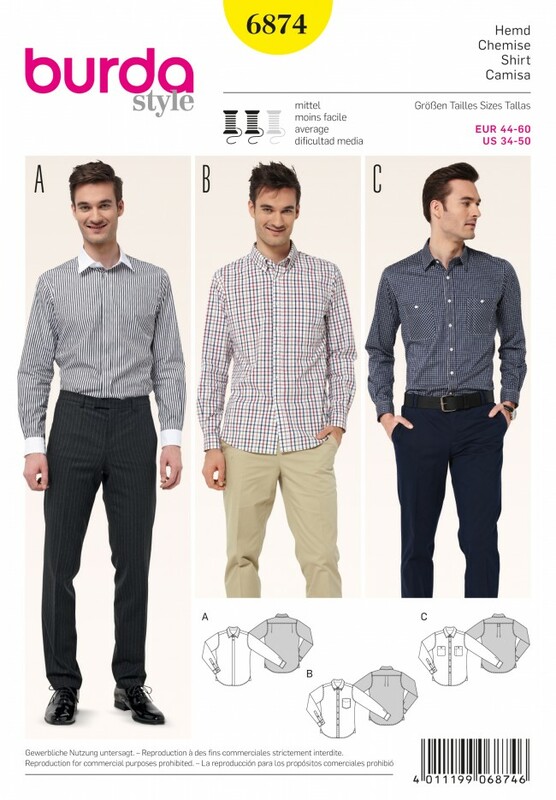 A Burda men’s shirt pattern, possibly an athletic fit? 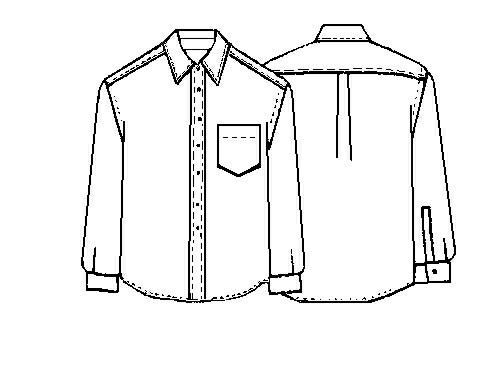 Technical drawing of Lekala’s free men’s shirt pattern. 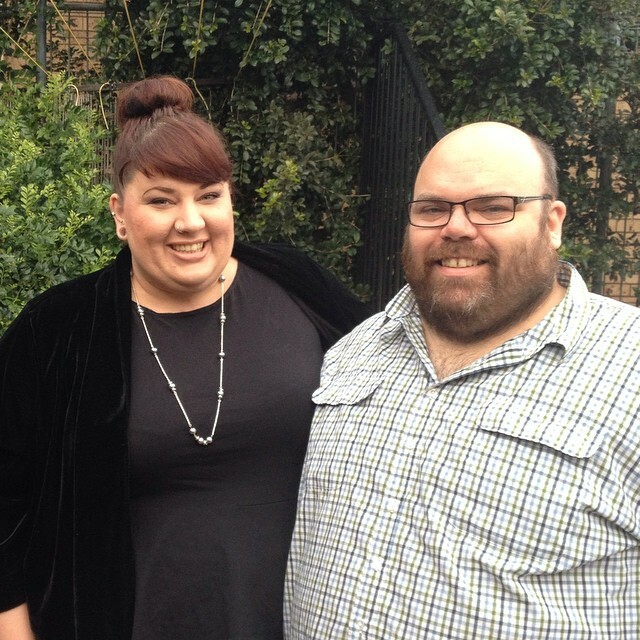 I bought Burda 3874 thinking that the size 60 would fit him, then I realised that men’s sizing does not indicate chest size like women’s pattern sizing does. I’d have to grade that pattern up 10 inches for the chest to fit. And by the time I did that, I’d have to correct any number of problems thrown up in the process. 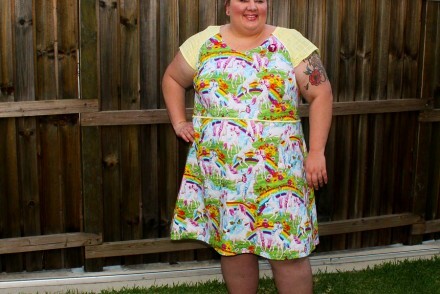 Then I discovered Lekala #6026, a free shirt pattern from the pattern designer where you can plug your measurements into and theoretically get a great fitting pattern. (I bought a few other patterns at the same time as downloading this, I’ll get around to sewing them up one day!) I taped up the pdf print outs and compared the pieces to a casual short sleeve Bisley shirt Nick already owns and loves. I realised I may as well just take a pattern from the shirt he has. This is going to be harder than I thought: no pattern designer is prepared to design a shirt for a short fat man, so it’s going to be all down to me. Nick and I, but most importantly the Bisley shirt he is wearing. 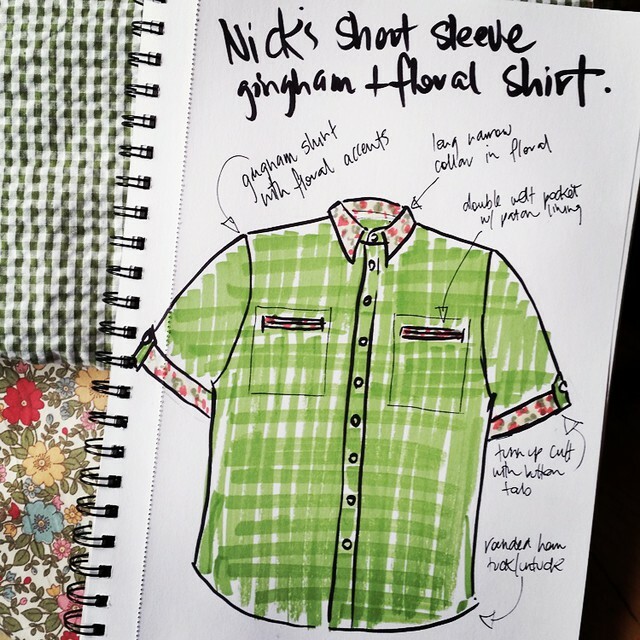 My sketch of Nick’s shirt along with the green gingham seersucker and floral fabric combination I plan to use. So here’s where I am. A sketch for a short sleeve shirt with cuffs and a button tab, as well as two double welt chest pockets, because why the hell not? I’ve sewn up a muslin of the pattern taken from the Bisley shirt and discovered that I’ll need to make the collar fit his neck as the RTW shirt does not (he wears it open). When I make a long sleeved dress shirt I want him to have a collar that fits him and doesn’t completely choke him like every shirt he’s ever had. I will also need to reduce the shoulder. The top fabric is a beautiful large print in cotton/ linen, the bottom two are my gingham and floral combos. 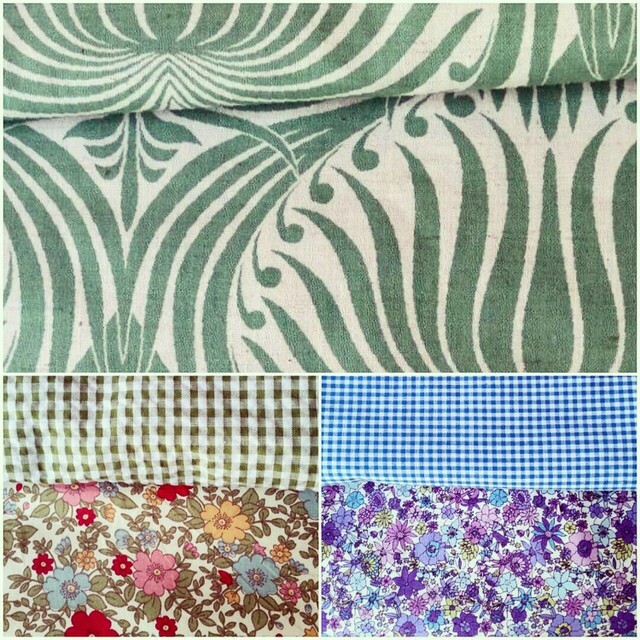 These are the fabrics I have picked out for Nick’s shirt project. I got the bottom gingham and florals from my work, explaining the project to my boss who is amazing at combining prints! I’m going to let these fabrics guide me, as well as my desire for Nick to have beautiful, fashionable, and well fitting shirts. 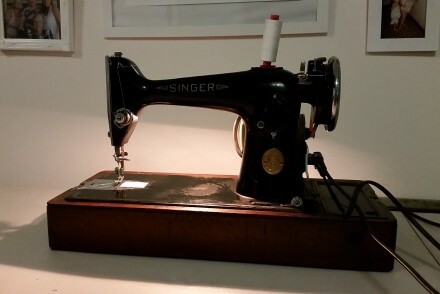 Sewing for beginners. The start of a beautiful journey.